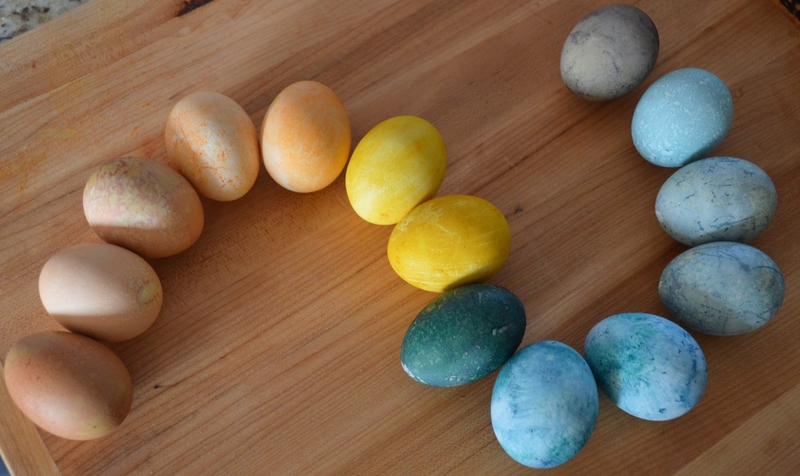 Natural Easter Egg Dyes | Bloom. If I didn’t already know Easter was one week away, I would be able to tell by Pinterest. Lately, my Pinterest feed has been an Easter Explosion. It’s full little deviled eggs made to look like baby chicks that you might need a art degree and tons of patience to create, Cadbury Egg stuffed cupcakes (… because why wouldn’t you stuff an indulgent dessert with another indulgent dessert? 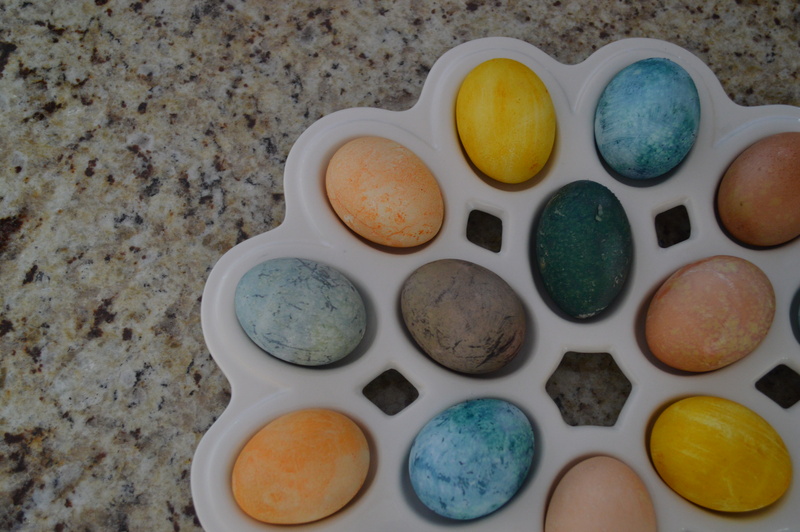 ), and more ideas for how to decorate Easter eggs than you can begin to think of. I have seen glitter covered eggs. Eggs to look like the Despicable Me minions. Or, Super Mario Brother’s characters. As silly as these Easter eggs pins seem, there was one that really caught my eye. 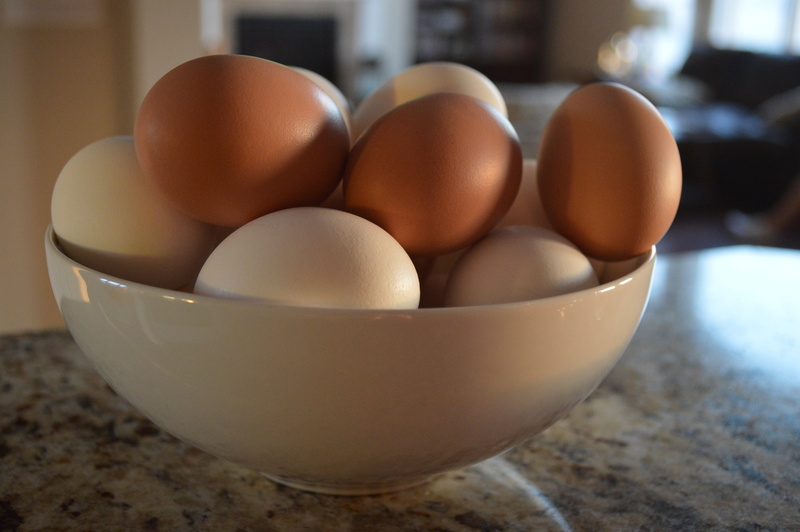 It was a beautiful shot of pastel eggs that looked like the epitome of spring. The caption said that they were dyed naturally. When working at the school there were a handful of students allergic to food dyes, which I first thought was odd. Then, after a little research, I learned that food dye allergies are relatively prevalent and can cause many issues from eczema to breathing problems. In this research, I also learned that some grocers are making naturally dyed baked goods in order to reach those who suffer from the allergy. I read about an example of how Whole Foods made a little girl’s birthday cupcakes pink by using beets. Thanks to how pink my hands get when I cook beets, I knew it must work well. 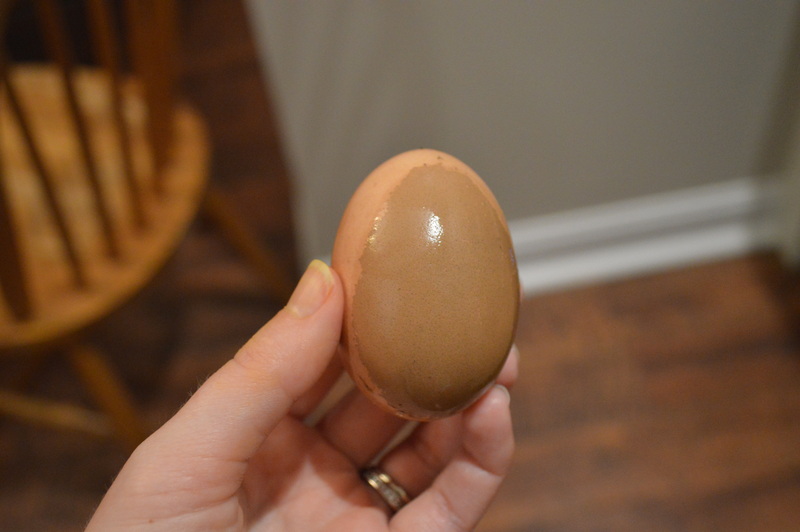 So, I decided to give naturally dyed eggs a go in hopes of the pretty pastel eggs on Pinterest. But, I didn’t get pastel. 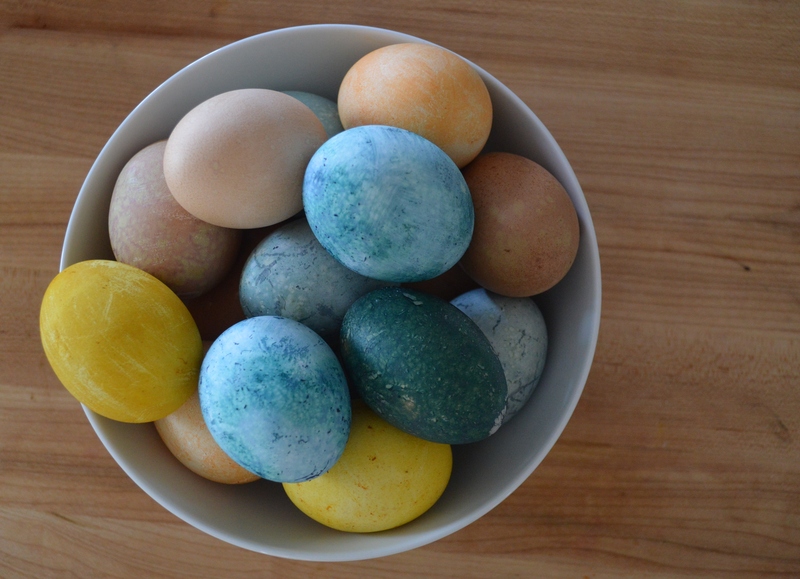 I got these amazing jewel tone eggs. Hard boil eggs and let cool completely. Let all dyes come to room temperature before dying. Paler shades sat in dye for about ninety minutes. Darker shades were submerged in dye over night. 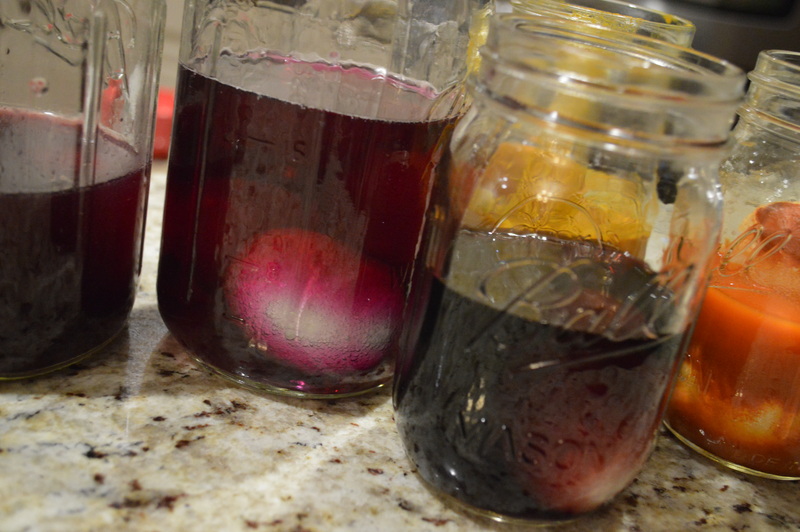 Mason jars worked great for holding the dye and eggs. 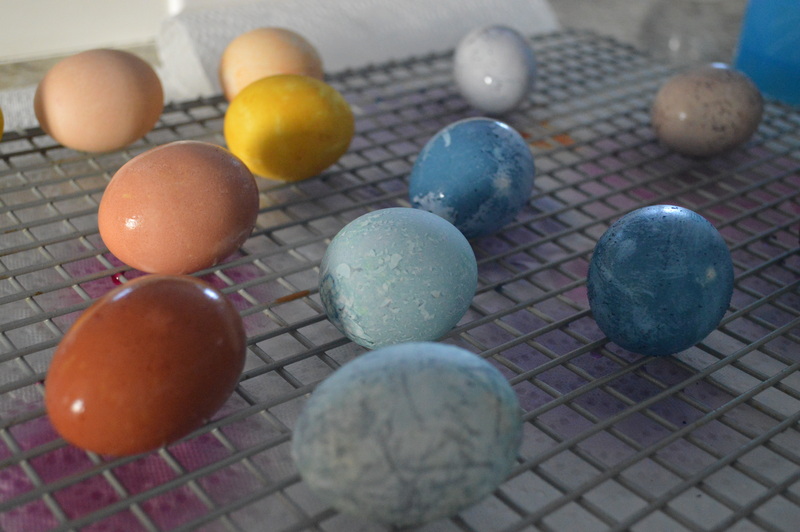 After removing the eggs from the dye, I put them on a wire rack to dry. Place a paper towel under the rack to keep messes to a minimum. I will definitely have to try this!! Thanks for the sharing how to make these beauts!